Lawrenceville – At its Tuesday meeting, the Gwinnett County Board of Commissioners approved a resolution in support of the purchase of approximately 104 acres at the OFS Fiber Optics site along I-85 by the Urban Redevelopment Agency of Gwinnett County (URA). The URA approved the purchase following the meeting. Lifeline Animal Project offering fee waived adoptions on all animals this Friday through Sunday! All dogs, cats, puppies, and kittens are fee waived! Looking for a something great to do this Memorial Day Weekend? Want to have some fun and save a life? 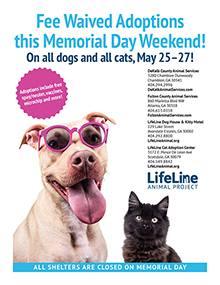 LifeLine Animal Project wants to help by offering a fee-waived Memorial Day Weekend promotion to encourage you to do just that. Celebrate National Fishing and Boating week on the water! SOCIAL CIRCLE – Need a reason to go fishing? It is a great way to connect with family and spend quality time together in the outdoors. Want one more? There is no better time to get outdoors than during National Fishing and Boating Week, June 2-10, 2018 according to the Georgia Department of Natural Resources’ Wildlife Resources Division. There was a lot happening at the Philadelphia Winn Chapter NSDAR in Lawrenceville on Sunday, May 20th. The DAR calendar runs from September to May, breaking over the summer from regular monthly meetings, but of course, DAR’s work continues year round! 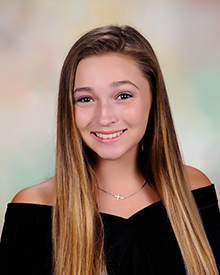 Greater Atlanta Christian School (GAC) recently announced the valedictorian and salutatorian for the 2018 Class. At its regular meeting in May, the Gwinnett County Board of Education tapped three leaders to take the reins of schools for the 2018-19 school year. Norcross Rushes in Era of Digital Plan Review!